Once upon a time, as you can see above, no self-respecting French gentlewoman would be without a Hirondelle for walking her dog. 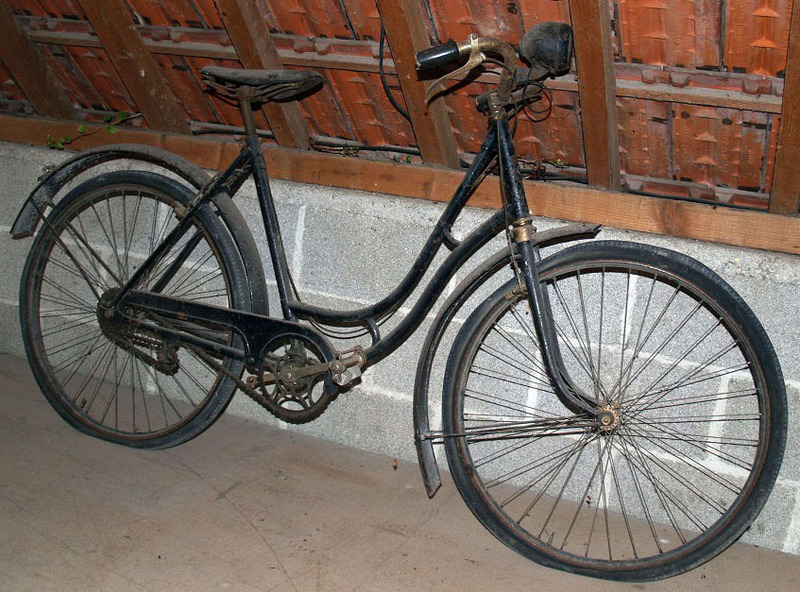 The Hirondelle, made by the Manufrance company in St Etienne, had a special model, the Retro-Directe, which was once one of France’s most iconic bicycles. Unfortunately, these days it’s mostly forgotten. 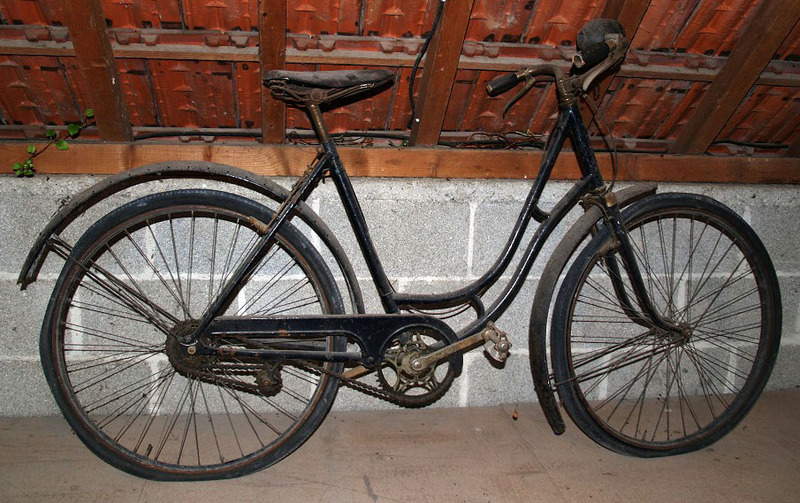 Because this two-speed bicycle has a remarkable feature that never ceases to amaze onlookers. 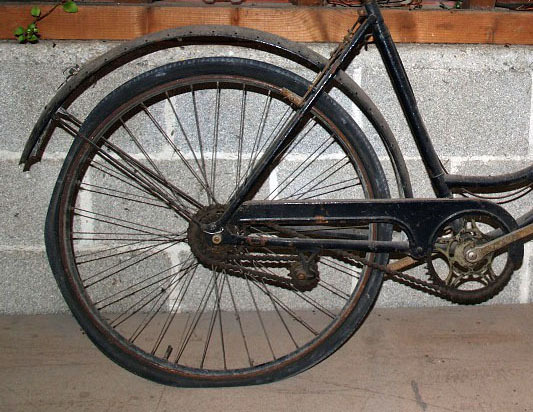 In top gear it is just a normal bicycle. However, once you change gear to climb an incline, instead of pedalling normally …you must pedal backwards! 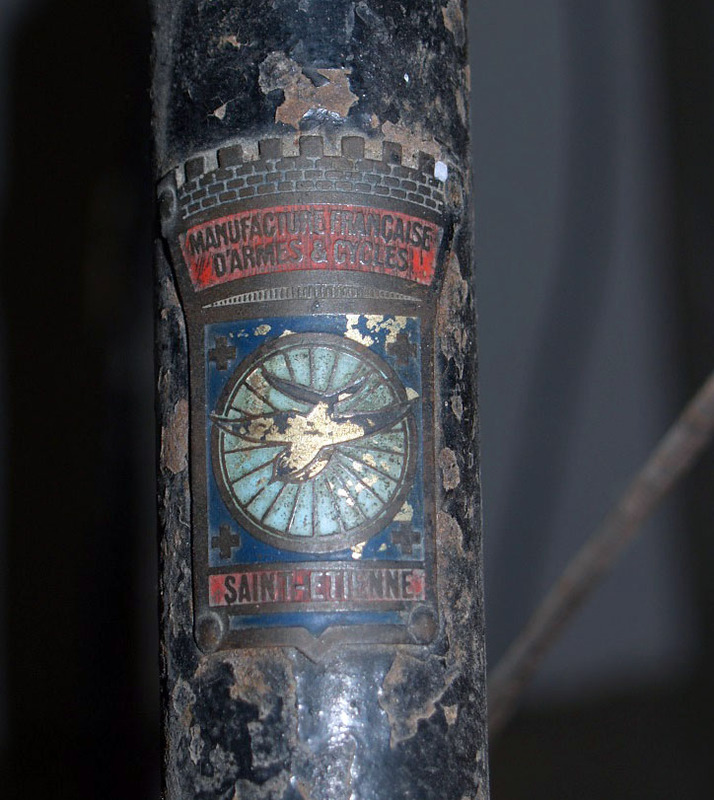 This well-preserved ‘grand dame’ comes from the collection of a French friend with a museum collection. 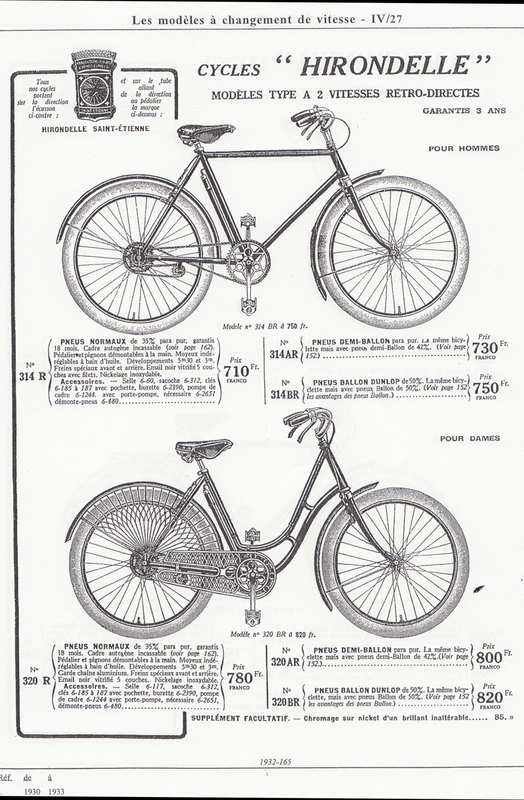 I recently bought some bikes from him, and asked him if he had a retro-directe to add. He didn’t think he did, but after a few days he remembered he had this one, which he’d put in his cellar many years ago. He describes it as ‘dans son juice,’ and that quaint term sums it up quite well. I’ll fit some new tyres when it arrives on these shores.